I still can't believe that Summer is over. It was over before it really began really. I can probably count the days of sunshine on one hand but we made the most of it when it did appear, that's for sure. As mentioned in a post earlier this week you can already feel the change in the seasons, the air has that crisp edge to it and you can sense that the cold is on it's way. With that in mind I decided to put a post together which lists how we are preparing ourselves and our home for the colder months. It's time to say goodbye to the summer dresses and vest tops and say hello to thick knit tights and jumper dresses. I feel like we never had a chance to wear our summer clothes this year but at least they were worn on our holiday to Spain earlier in the year. This week I've been looking to buy the kids new sweaters and coats and both Nick and I could do with some new clothes too. There's something lovely about dressing up in your knitwear and coats and heading out for a walk with the family, especially if hot chocolate is involved! If you read my blog then you'll already know that we were able to buy our first home a few years back. We were then brave (or crazy) enough to undertake a full house renovation and with only so much money to spread so many different ways we had to compromise on a few things. The house needed central heating fitted throughout and in a couple of rooms we had to buy smaller radiators than we really needed. This means some rooms can become quite cold no matter how high you have the radiator on. 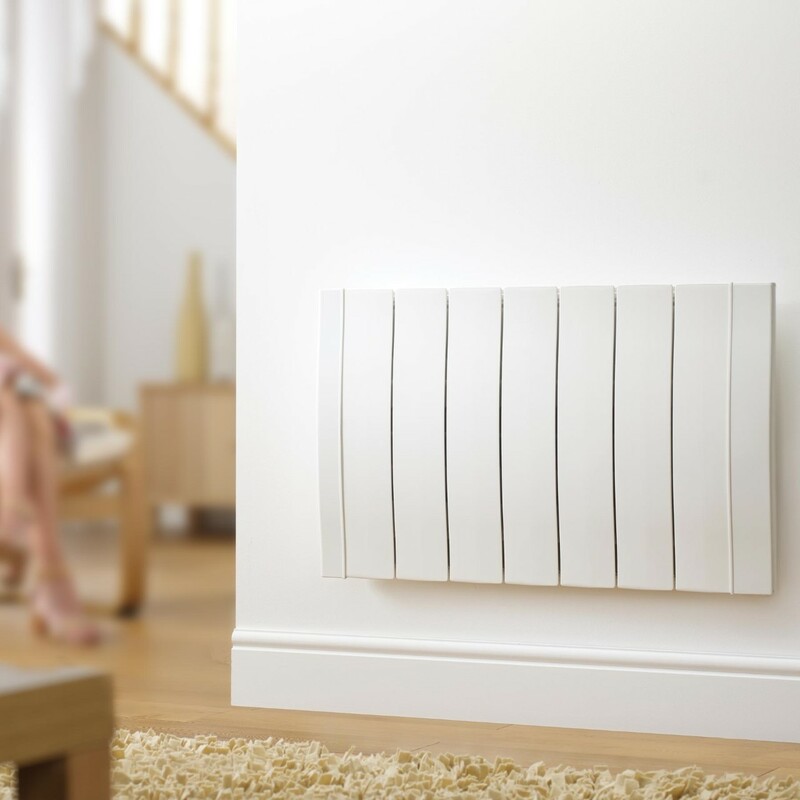 Now we are a little more settled I'm looking to update them and I've been looking at Haverland RC Wave electric radiators for the kitchen and living room. Not only do they have a contemporary, stylish and slim design but they are also energy efficient and reduce the cost of your energy bills. Each radiator has its own thermostat and programmer, so I can set the temperatures I need to keep each room cosy without wasting energy. They can also be installed DIY, unlike our central heating radiators, so I can get them up and running as soon as they arrive without spending more on an electrician’s fees! I think this is a winning combination and something we really need. Every year around this time I tend to have a huge clear out. Anything that we've not used in the past six months, things I've forgotten about, broken toys, unworn clothes. I either bin them, give them to a friend or take them to the charity shop, depending on the item of course. Having a big clear out makes room for the mountain of toys that I'll probably receive for the kids at Christmas and just makes you feel a bit better in general. Have you started preparing for the colder months? I'd love to hear your tips and ideas! No, I haven't started to prepare for Autumn and Winter. Though as you say :- We did not have much of a Summer. Therefore I have worn a variety of clothing, depending on the weather, occasion, event, venue, etc. I tend to wear layers as when required. If weather nice, dry, warm, sunny :- Then t-shirt and trousers over underwear, meanwhile I will have anorak and possibly cardigan which I will carry in a bag. As weather may change i.e. cool down, rain, etc. So I am prepared. I will look out for warm jumpers, jackets, boots, etc for Autumn and Winter. Thanks for reminding me to get prepared. We have other priorities at present time. Though will get around to preparing for cooler / colder weather. Having a Clear Out is something that we will need to do. We have been encouraged to recycle :- So mostly items will go to charity shops, or for recycling. The radiator looks nice, quite a classic design which would blend in within the home, in any room. We just moved into our forever home too slowly replacing everything! But with this weather there's no motivation. I just make sure all my colder-weather clothes are washed and aired. I should keep an eye out for anything else I need to do, though; better to be prepared!